This article is dedicated to & written in honour of all of my cancer warriors, clients & friends! 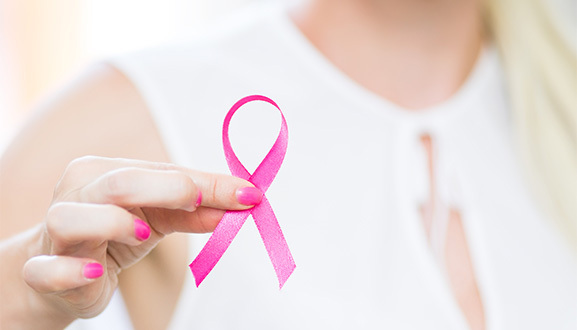 According to The Breast Cancer Network Australia (BCNA) in 2018, it is estimated that 18,087 women and 148 men will be diagnosed with breast cancer. This means that approximately 18,235 Australians will be diagnosed with breast cancer in 2018. On average, 50 people will be diagnosed with breast cancer every day. The number of women and men being diagnosed with breast cancer in Australia is increasing; however, the number of deaths from breast cancer is decreasing. Breast cancer is the most common cancer diagnosed in Australian women and will account for approximately 28.4% of all new cancers in Australian women in 2018. The risk of being diagnosed with breast cancer by age 85 is 1 in 8 for women and 1 in 631 for men. Breast cancer can occur in younger women. It is estimated that 841 women between the ages of 20 and 39 were diagnosed with breast cancer in 2017. This accounts for approximately 4.8% of all breast cancers diagnosed in Australian women in 2017. Very sobering statistics; no one is immune to this disease, it really is indiscriminate! It is also absolutely incredible to note that right here in Australia, we have one of the best breast cancer survival rates in the world. To put this into perspective – as at the end of 2012, it is estimated there was over 190,000 women alive who had been diagnosed with breast cancer in the previous 31 years (source: BCNA). Wow! I was asked this question last Christmas by a cousin: “Oh – do people with cancer want to look pretty”. Oh my gosh, I had to pick my mouth up off the floor because if she knew me at all she would know that I don’t link the words “pretty” or “beautiful” to what I offer clients (healthy or otherwise), which is education to achieve great skin with an active, healthy barrier defence system through targeted, safe, adapted ingredient delivery. Why should a cancer warrior & survivor have to look in the mirror and be reminded that whilst their bodies survived the treatments, their skin aged 10 years & often displays secondary skin conditions? Quite simply, they shouldn’t have to! I have been privileged enough to share many clients’ journeys through diagnosis, treatment & beyond. The human spirit never fails to amaze and inspire me on a daily basis. Overwhelmingly clients who find their way to me have been given no or wrong information on how to care for the biggest organ of their bodies throughout their treatment journey. With statements like “your skin is the last thing you should be worrying about”, no wonder there is added confusion and anxiety. Your skin is a most remarkable organ. Scientists estimate that the human body is made up of around 10 trillion cells in total. Your skin makes up about 16% of your body weight, which means you have roughly 1.6 trillion skin cells (source: BBC). Skin is our largest organ—adults carry 3.6 kilograms and 2 square meters of it. Your skin is also an ecosystem. That’s right, there are more microbes living on & in your skin right now than there are people on earth! Skin is definitely not the “last thing” you should be concerned with when your body is sick. Simple supports through adapted, targeted ingredients can make a huge difference to your skin during & post medical treatments. Medical advances have meant a much more streamlined approach to treating cancer. A snapshot of these treatments – Anticancer Drug Agents which includes Chemo, Biotherapy & Hormone Therapy; Radiation Therapy; Oncologic Surgery. What you will undertake will depend on your type & stage of cancer – it may be all three modalities or it may be one. How does this translate to your skin? Well, Chemo drugs, for instance, target fast replicating cells. Yes, cancer cells are fast replicating but so are your skin, nail, hair, lips and digestive tract cells. Radiation therapy is used to kill cells through direct and indirect mechanisms of action. Direct damage refers to damaging the DNA within a cell, which occurs when a radiation beam passes through the cell’s nucleus. On the other hand, indirect damage occurs when the radiation beam passes through the cytoplasm to create free radicals that, in turn, destroy the DNA. Indirect damage of cells is more common, because, with regard to direct damage, when cancer cell DNA is destroyed, cellular functions are disrupted, including the ability to divide or replicate, ultimately leading to cell death. Skin symptoms vary greatly between clients, some showing very few whilst others suffer many crippling side effects. As one client put it “My skin was fragile, sensitive & the redness was shocking. I felt flushed & had a constant prickling sensation. It was a strange time because on one hand, I didn’t want to use harmful ingredients but on the other, I didn’t know what those ingredients were”. A practical & interesting statement – education has to be the cornerstone. It is vital there is a clear understanding about what goes on & into the skin by both parties. We have discussed that perfect, microscopic universe which is your skin – remember the one which is home to 1.6 trillion cells? Ask yourself this: since when did your skin need fragrance, preservative, emulsifiers & colours to function? Ingredients matter so much – how are they sourced? How are they manufactured? Are they produced in aseptic conditions? Are they tested on animals (you would be surprised just how many products out there are!)? Does your product smell good enough to eat? Why? Will these ingredients interfere with medical treatments? If estrogen is being suppressed medically, are there ingredients which should be avoided? Hard questions right, but they absolutely have to be asked & answered. If you have had facials, pedicures or massages your whole life, why should you suddenly stop now? Let’s face it, with facial treatments your skin is probably at the point of most need, right now. If you want to attend for treatments, chat with your oncologist &/or medical team and get the all clear. Seek out professionals who understand your health & it’s implications to your skin & body, then they can modify to accommodate your needs. So check & double check, treatments are being delivered by a certified practitioner. If you would like more information about your skin & the effects of oncology treatments – please go to my website. Let your knowledge be powerful!